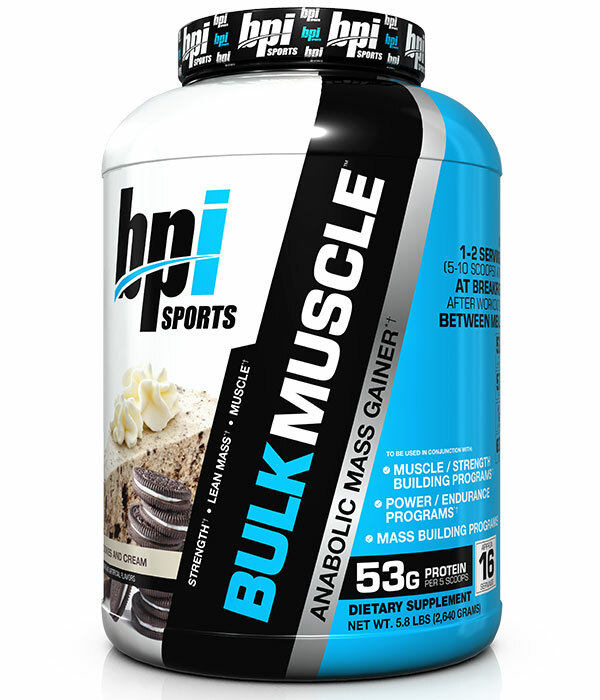 At BPI Sports we are committed to bringing you the absolute highest quality Sports Nutrition products available anywhere. But now you don’t have to take our word for it. We are putting all of our proteins through stringent testing by ChromaDex®, a 3rd party laboratory, and one of the most respected names in Sports Nutrition. TheChromaDex® Quality Verified seal means no protein “spiking” and confirms that product meets specification for ingredient identity, contaminants, heavy metals and microbials. It serves as objective proof that our proteins are compliant with cGMP (Good Manufacturing Processes) and that what you see listed in our ingredients are exactly what’s in our products. Nothing less, nothing more. Starch blend (maltodextrin, cluster dextrin, sweet potato powder), Super Carb MASS Blend™ (milk protein concentrate, whey protein concentrate, milk protein isolate, whey protein isolate), natural & artificial flavors, cocoa processed with alkali, coconut-based creamer (coconut oil, maltodextrin, food starch, mono- and diglycerides, tricalcium phosphate), gum blend (cellulose gum, salt, xanthan gum, carrageenan), silica dioxide, sucralose, acesulfame potassium, soy lecithin, flax seed powder, and ProHydrolase ® (proprietary/patented enzyme blend). Contain(s): Milk and soy. MANUFACTURED IN A FACILITY THAT ALSO PROCESSES EGG, PEANUTS, TREE NUTS AND WHEAT.